Dale was one of three students that Orv instructed at the same time in PA. Dale has a very nice upgraded Rotorway Exec 152. 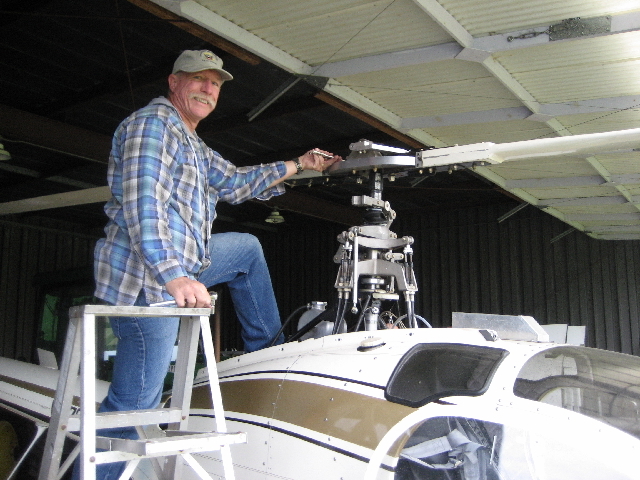 Above Dale is installing his main rotor blades in preparation for flight training with Orv. 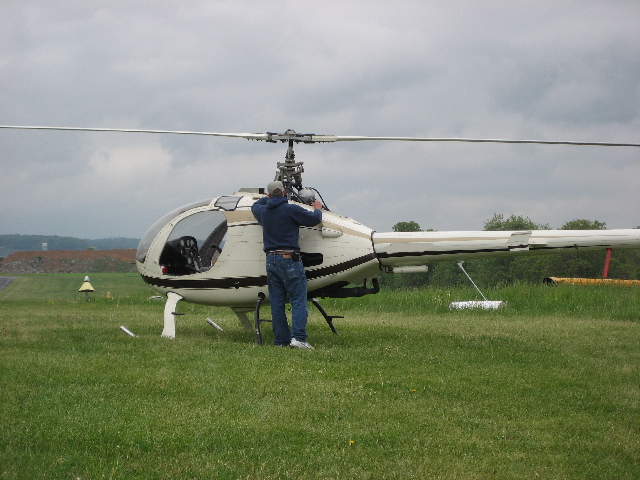 Dale brought the helicopter to the airport where he, Bill Kichman, and Nick Stoltzfus were to receive their flight instruction. Above Dale is checking to insure all systems are go for another round of flight training. 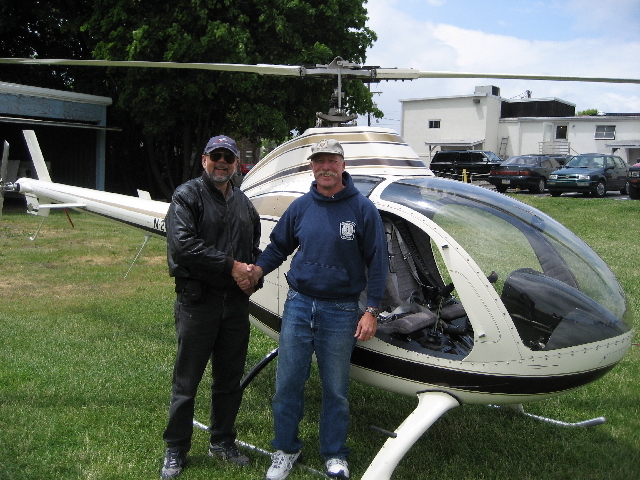 Above Rotorway flight instructor Orv Neisingh congratulates Dale on a successful solo flight.